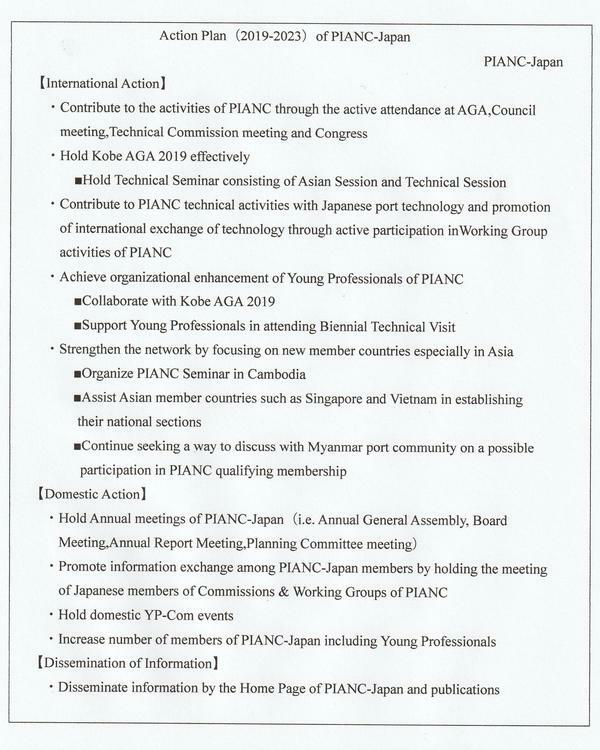 Action Plan（2019-2023）was compiled by PIANC-Japan. The plan is corresponding to PIANC HQ's "Strategic plan 2019-2023". Concrete contents of this Action Plan are as below.